Shots on Net, Available Now! It's officially official: Shots on Net is now on sale at Amazon.com! Shannon Klein is a small town girl with big city dreams. She wants nothing more than to leave her hometown of Whitefield, Connecticut, and move back to Boston, Massachusetts—where there seem to be endless possibilities for her career, social life, and love life. Kevin Browne is an undrafted defenseman looking to break into professional hockey. He gets a chance to show his stuff with the Whitefield Warriors, the AHL affiliate of the Hartford Gladiators, when they offer him a one-year, try-out contract. His only goal is to secure a future playing for the team so he can be one step closer to the NHL. 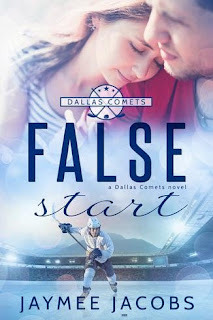 Through a series of mishaps and well-timed encounters, Shannon and Kevin meet and quickly become friends—and maybe something more than friends, too. But they have to decide how much of their respective dreams they're willing to compromise in order to be together. It would only be a matter of pages before one of them snapped. Elspeth, a fair Anglo-Saxon maiden, was fiercely bantering with Louis, the French earl who had been granted the rights to Elspeth’s plot of land by William the Conqueror after the historic 1066 Norman invasion. Headstrong and feisty, she adamantly refused to back down or to obey orders from a foreign authority. As the lady of the castle, she knew that it was up to her to defend her family’s honor; the land belonged to her uncle, who had been killed during the resistance. Uncle Ælric had been her only family, and she was determined to avenge his death. I have never felt so happy as I have right now to announce that I have finally, finally, finished the final copy of Shots on Net! It involved more rewrites than I'd like to admit, but it's finished. I'll wrap up the editing tomorrow, and publication will be scheduled for Tuesday, October 29! Writing this novel has been a very bumpy road, and I hit a lot of personal speed bumps along the way to get here. I'm so glad that it's done, and now I get to share it with all of you. 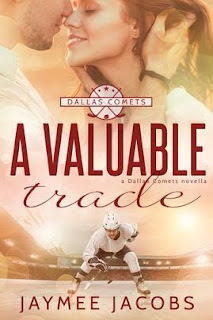 I have a special treat for my lovely readers. For those of you who got a copy of Play the Man, the first chapter of Shots on Net was included in the back. Tomorrow, I'm going to post the first chapter here on my blog, just in case you haven't read it yet. It'll be a sneak peek just in time for the big release! So please come back and check that out tomorrow. Thank you to everyone who participated in the blog hop—whether you hopped on to check out the other blogs, or if you came by to check me out! I'll be contacting you soon about your prize. Meanwhile, I'm delving back into writing, and editing, and proofing, and rewriting.... Back to my cave I go! 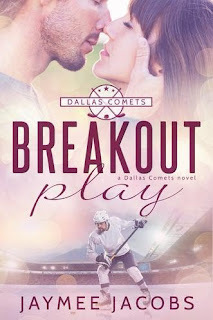 Hottie Hockey Hunks Blog Hop—GIVEAWAY! Good morning, and happy hockey! Today is officially the start of the 2013-14 NHL season, and I for one couldn't be happier. Well, I'll be happier on Thursday when the Penguins play the Devils for the season opener, but I suppose I'm just being picky. Anyway. Have you ever heard of a blog hop? I hadn't—until I was invited to join one! So let me explain: bloggers with common interests unite to promote each other. 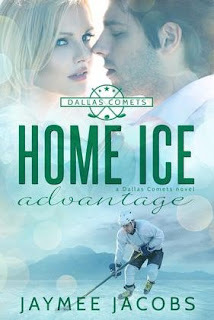 So below, I have a link of seven other hockey romance writers you might be interested in. If you're familiar with me, then you've probably heard of Melanie Ting—a fellow writer who got her start in Blogger. But you should check out these other ladies and maybe find some new authors to enjoy!